A lot of progress has been made on our 1960 El Camino restoration project since My last post a couple of weeks ago. 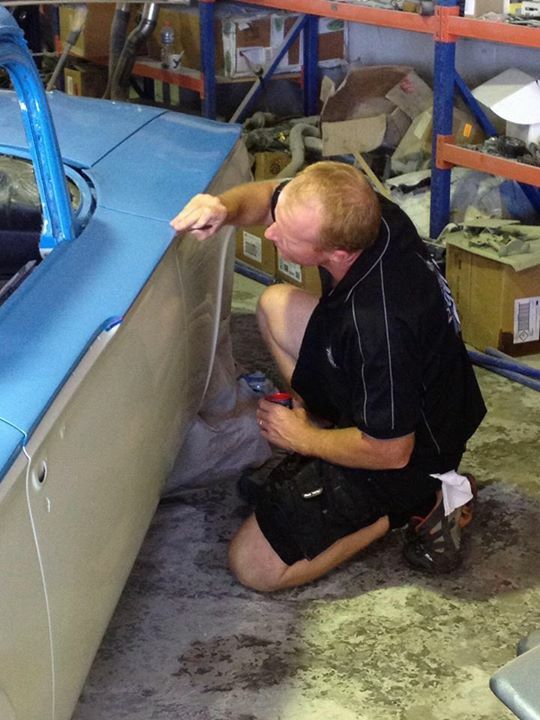 Rob has finished the prep and has completed the two-tone paint except for the final flow-coat. I have included a pic of Rob blocking back the clear-coat in preparation for the flow-coat. Before we apply the flow-coat, however, we had Sam Keddie of Sam Keddie Signs come in and do some great pinstriping along both sides, the bonnet and the tailgate. Sam is a master at his trade and the result is fantastic. The final clear goes on tomorrow and I will post some more pics soon.